A Quonset hut building have been in use for centuries. Also known as arch buildings because of their shape, Quonset buildings are commonly used by military forces as a shelter and by industries as a storage space. Quonset huts are pre-engineered steel structures that can be easily set up within a couple of days. The modern construction methods and tools have made the construction of Quonset buildings easier and quicker, and today, these steel structures come equipped with a number of high-tech features. 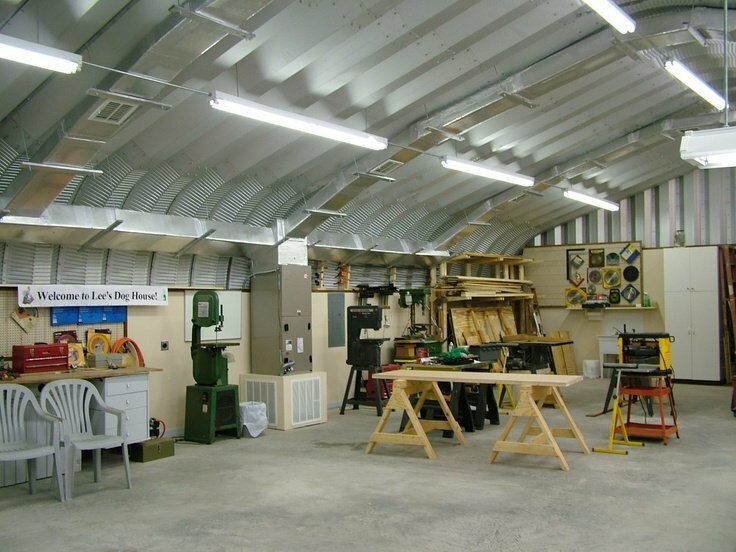 Whether you need a small space to store some oddly-shaped equipment and tools or you want to build a garage for your truck, Quonset hut buildings can serve several purposes. Let’s have a look at 5 common uses of Quonset hut buildings. A Quonset hut building can be used as a car garage. The structures designed and developed to be used as a car garage usually have plenty of space to park one to two cars, work benches, and other related tools and equipment. One of the benefits of using Quonset huts as a car garage is that the roof has no trusses, and therefore, the interior space is 100 percent usable. Also, steel structures build from premium-quality metal can withstand extreme weathers and require little or no maintenance. Quonset hut buildings can be used for a variety of commercial purposes, such as small retail stores, small offices, classrooms, workshops, etc. The benefit of using Quonset hut building for small-scale commercial construction is that the process is fast, easy, and cost-effective and produces a strong, durable structure. Also, since the building has no posts or beams, the interior of the building is spacious and can be customized in any way you want. Every living space has some clutter that is unpleasant to look at but still useful. Quonset buildings can be perfect to store such things that are not visually appealing but one can’t just get rid of. These buildings have enough space to store lawn mowers, bicycles, paint containers, and much more. No heavy equipment is needed to build the building and the construction process can be completed using some basic tools. Quonset hut buildings have replaced the traditional wood frame metal barns. Today, agricultural buildings can be constructed in a very short period using pre-engineered steel structures. The buildings used as a storage space may range from 10’ to 120’ in width with unlimited lengths. The greatest benefit of using Quonset buildings for agricultural storage is that the building has no beams, posts, or trusses inside and, therefore, the building provides maximum space for storage of hay, bales, and agricultural equipment. Quonset hut buildings can be an economical way to full recreational purposes. These buildings can be used to build a gymnasium, an indoor basketball court, or as a swimming pool cover. The pre-engineered metal recreational buildings may have heights of up to 30’ and widths up to 140’. Also, the buildings can be easily customized to complement the taste of a recreational group. Quonset buildings offer several advantages over traditional buildings. They are economical, easy to build, and most of all, extremely secure. These buildings can withstand extreme weather conditions and offer you a safe and healthy lifestyle.